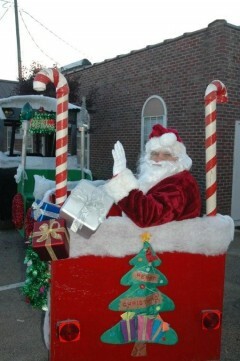 Sunday, November 23 was Holiday Open House in Downtown Pontotoc. Several years ago, Santa would have breakfast with the kids and take photos. Pontotoc Main Street’s Design team and Promotion Committee wanted to bring this back. On Saturday, November 22, they partnered with the Fire Department and High School Baseball Boosters and had “Breakfast with Santa” at the fire department. It was a win-win situation for all. Downtown Pontotoc had their own Polar Express bring Santa into town. He was ready to hear requests from 175 kids. They had pictures with Santa, train rides, showed a movie and breakfast for over 200 kids and parents. For a first time event, this was a great success. The event had very good partnering among different groups in the community. It produced traffic on Main Street, made money for the baseball team and filled a few orders for Santa. (Ocean Springs) - The Ocean Springs Chamber of Commerce – Main Street – Tourism Bureau has officially become a member of one of the most prestigious tourism promoting organizations, the Southeast Tourism Society (STS). As a member, the Ocean Springs Chamber of Commerce will have access to a number of resources such as networking, continuing education, cooperative marketing and other opportunities into the travel and tourism industry. The Chamber of Commerce previously participated in the Southeast Tourism Society’s Marketing College earlier this year and was recognized for the Peter Anderson Arts & Crafts Festival as a “Top 20 Event” by Southeast Tourism Society. Southeast Tourism Society is a non-profit membership organization with more than 900 members representing 12 states in the Southeast. The organization is dedicated to promoting leisure travel, sustainable tourism and the importance of the travel industry. For more information, please contact the Ocean Springs Chamber of Commerce – Main Street – Tourism Bureau at 228-875-4424. JACKSON, Miss. November 6, 2008 - The Mississippi Main Street Association's 2009 Board of Directors met in the capital city of Jackson October 28-30 to finalize the association's strategic plans for 2009. The 2009 Board officer slate is as follows: Chuck Ueltschey, Mississippi Power Company, is Board President; Randy Burchfield, Bancorp South, is Board President-elect and Treasurer; and Suzanne Smith, Renasant Bank, is Chairman and immediate Past President. The 2009 Board of Directors are as follows: Steve Kelly, Entergy; Bill Andrews, Viking Corporation; Jimmy Heidel, Department of Planning and Development for the City of Jackson; H.T. Holmes, Mississippi Department of Archives and History; Kay Miller, Biloxi Main Street; Hibbett Neel, Neel-Schaffer; Barry Plunkett, Real Estate Developer; Leland Speed, Eastgroup/Parkway Properties; Gray Swoope, Executive Director of the Mississippi Development Authority; Jim West of the College of Architecture, Art and Design at Mississippi State University; and Billy Wiseman, Retired. 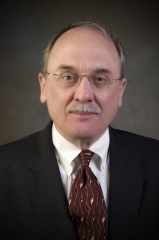 Bill Scruggs of St. Dominic Health Services is a new Board Member. Designated representatives to the Board include Joy Foy, Mississippi Development Authority; Ken P'Pool, Mississippi Department of Archives and History; and John Poros, The Carl Small Town Center at Mississippi State University. Ex Officio members are Alex Thomas, Mississippi Development Authority; and Stella Gray Sykes, Mississippi Advisor to the National Trust. The retreat was based in Jackson at the Old Capitol Inn and included a trolley tour of downtown Jackson, led by Downtown Jackson Partners President Ben Allen, the City View Project, led by MMSA Board Member Barry Plunkett, and the Belhaven/Fortification Street Project, led by Virgi Lindsay, Director of the Greater Belhaven/Main Street Neighborhood Association. The tour included stops in the Main Street urban neighborhoods of Belhaven and Fondren as well as the historic Farish Street distict. Dinner followed at Sal and Mookie's Restaurant in Fondren. "We were excited to show the statewide MMSA Board of Directors our urban Main Street programs as well as the progress being made in our capital city," said Bob Wilson, Executive Director of the Mississippi Main Street Association. "I look forward to working with our distinguished Board line-up who are all dedicated to continuing the Main Street mission to develop Mississippi's downtowns." The Mississippi Main Street program is an economic development program based in historic preservation focused on developing Mississippi's downtowns through a four point approach: organization, promotion, design and economic restructuring. MMSA leads the nation in program success and is a designated partner of the National Trust for Historic Preservation and the Mississippi Development Authority. Mississippians in 50 communities around the state will share one goal at 9 a.m., Saturday, November 8, as they join together for the first statewide Let’s Go Walkin’ Mississippi event. Held in partnership with the Mississippi Main Street Association and the leadership of the 50 communities, hundreds of people will take part in downtown walks in their own hometowns. “This day is about promoting walking as an important part of a healthy life, and showing people how simple it is to go walkin’ in their communities,” said John Sewell, spokesperson for Blue Cross & Blue Shield of Mississippi, which created the Let’s Go Walkin’ Mississippi Program.